A student finished from college/university until late September? At home with your children this summer? A Stella & Dot fan? Pregnant or on maternity leave? A lover of fashion and accessories? A teacher with a little more time just now? Keen to earn a little extra money? 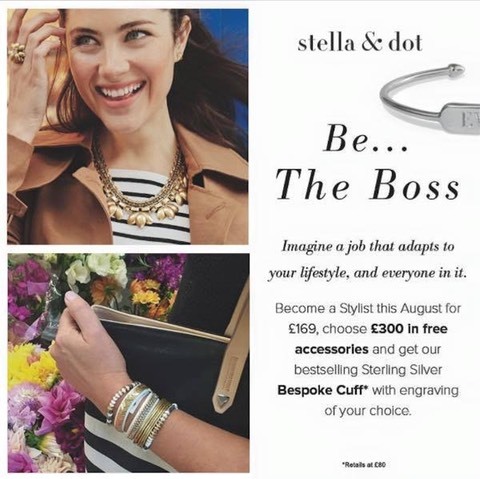 Why not chat to me to find out whether Stella & Dot could be great for you? 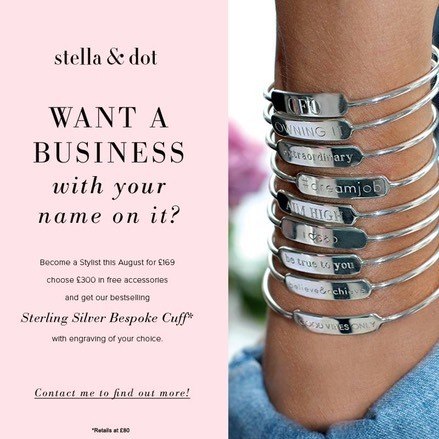 It costs just �169 to trial your own Stella & Dot business - Sharing the S & D style online, on-the-go and at in home jewellery shows. If you're not having fun, making money or you simply want to stop you can - Simples! What do you get for your �169? If you are interested in learning more about the “opportunity of a lifetime” with a company that is breaking every record out there, then contact Marsha McLean-Anderson (Independent Star Stylist) for more information.�Or why not join me at my Summer of Style Opportunity Event on the 30th August in Walton on the Hill. Bring a friend and learn about the latest trends and get a first look at our NEW Collection. Plus, get a glimpse of what it’s like to be a Stella & Dot Stylist with a very special Summer Styling session. �FREE sparkle for everyone who RSVP’s here.